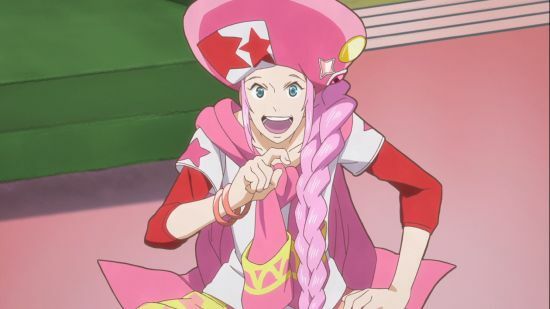 ClassicaLoid is returning for a second season! There’s so much to love about this show, but for some folks, you wouldn’t know it at first glance. Beethoven’s musik summons dance-fighting robots, Mozart (apologies, it’s actually “Motz-kun”) slides through life on roller shoes, Tchaicovsky is a cute girl that devolves into an old Russan man when angry, and, for some reason, Schubert accidentally turned everyone into fish once. 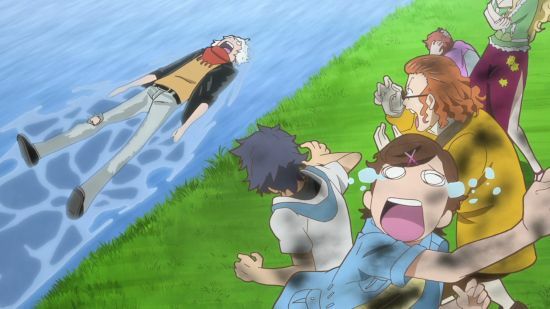 ClassicaLoid is an awesome romp into random situations with perfect comedic timing. 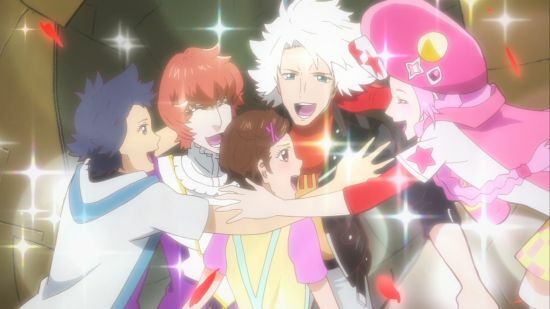 ClassicaLoid’s songs, composed by Japanese techno, rock, and pop artists, feature modern remixes of the character’s namesake compositions. 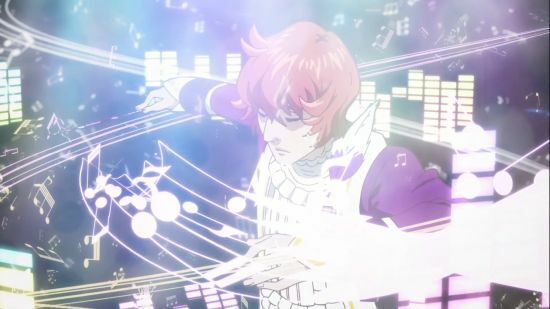 For example, Episode 2 features Tofubeats’ upbeat remix of Mozart’s "Eine kleine Nachtmusik." Another song we fell in love with was EHAMIC’s heartbreaking techno remix of Chopin’s "Fantaisie-Impromptu." 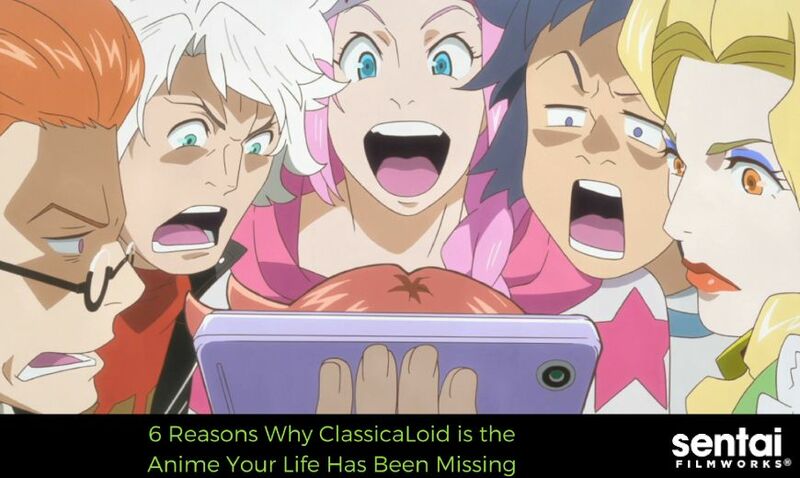 Speaking of Chopin… we need to talk about how he might be the single most relatable character to the anime community. Cho-chan is a shut-in with several online personas. For the most part, he’s happily nestled inside of an orange box, but he’s not a one-dimensional character. We love him because he’s a misunderstood genius who lives online, but is not against human contact. History documents IRL Beethoven and Mozart’s issues: Beethoven lost his hearing early in his music career, and Mozart suffered from scorn and loss throughout his life. The anime is not afraid to slip these details into the story. 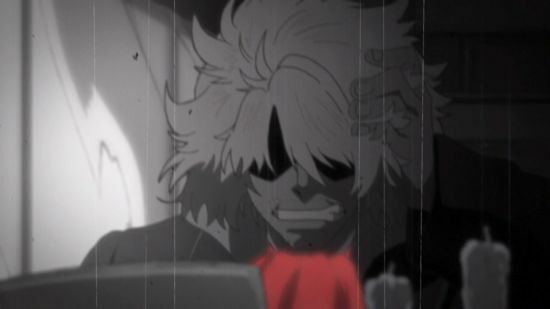 One episode is entirely devoted to Beethoven’s angst as he tries not to remember that his dreams as a performer were crushed by the loss of his hearing in his other life. The script and the situations the characters find themselves in are so well played with perfect one-liners throughout the show. Beet-san looks like a white-haired hipster, all the way down to his torn jeans and scarf. Liszt has become a voluptuous blonde with an obsession for love and the color green. Motz-kun is absolutely DARLING with his long pink hair, roller shoes, and… whatever is going on with the hat on his head. 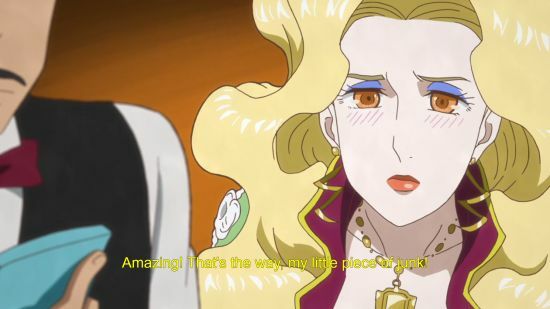 The second season of ClassicaLoid starts soon on HIDIVE, so we can relax knowing that our favorite musical troublemakers will be back to bother poor Kanae more! If you haven’t already been watching, let us know your thoughts on Facebook and Twitter.